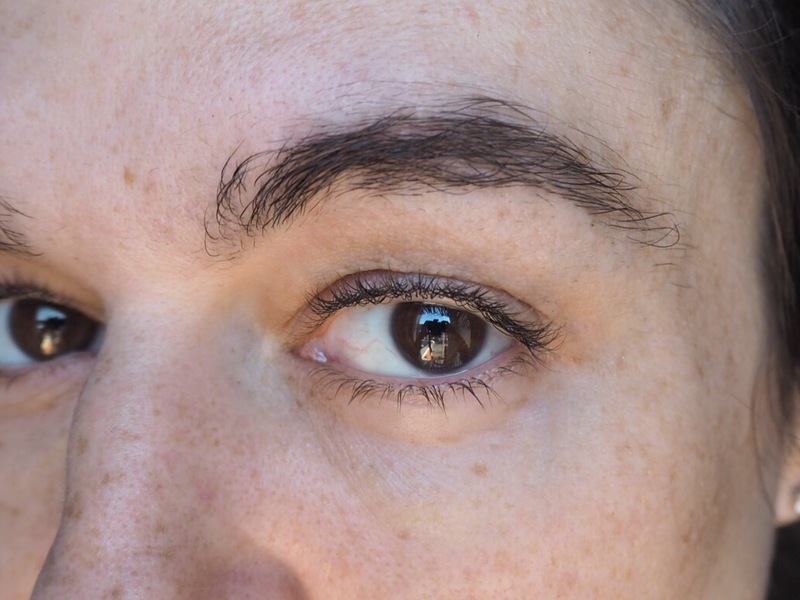 The other day I appalled all my readers with graphic images of my skinny eyebrows. It is possible to grow your eyebrows back without looking at all foolish, by filling in the gaps with makeup. The problem you may encounter when trying to regrow is that tweezing can cause damage to the follicles. So the whole brow doesn’t grow back at the same rate. It takes 8-12 weeks for brow hair to regrow so patience is in order. Find Your Shape– Start off by giving yourself a good look. I find it really hard to see my own face objectively. I thought I looked fine, but when I look back at my plucked face now, it makes me want to go back in time so that I can give myself a slap. 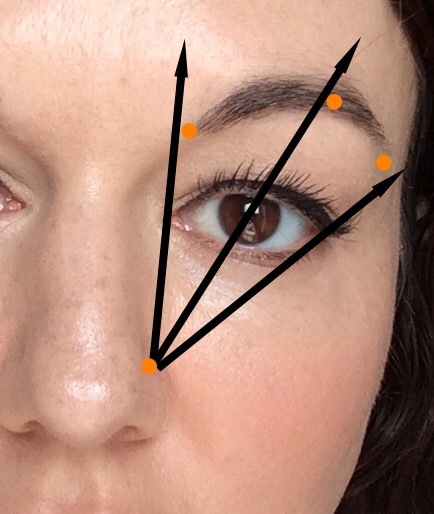 Here is a diagram explaining where your brows are meant be- You can use an eyeliner pencil to hold next to your nose to see if your brows line up. (I actually put my photo on Reddit and asked for C.C., people on there aren’t polite). Stop Tweezing! Stop pulling out your brow hair, or waxing it or shaving it (my mum used to shave hers in the 70s, the nutter). Leave Them Alone! Fill in the sparse areas. The reason I kept pulling out my own brows in such a fashion is that they are patchy. There’s an area of my left brow that doesn’t grow so I plucked my right to look the same. It only occurred to me this year that I could fill the patchy area in with makeup. You can use whatever you want, a Brow Pencil, brown eyeshadow and a slanted brush or, like me, a Brow Pomade. At the moment I’m using Kabrow by Benefit, it lasts really well. The filling in will help keep your brows presentable while they’re growing so you won’t feel tempted to pull any out. Use A Product to Encourage Hair Growth- There are a few products that exist that are proven to work- Latisse is a glaucoma medicine that causes hair growth, but I think that it’s prescription only. Castor oil is meant to help promote hair growth. 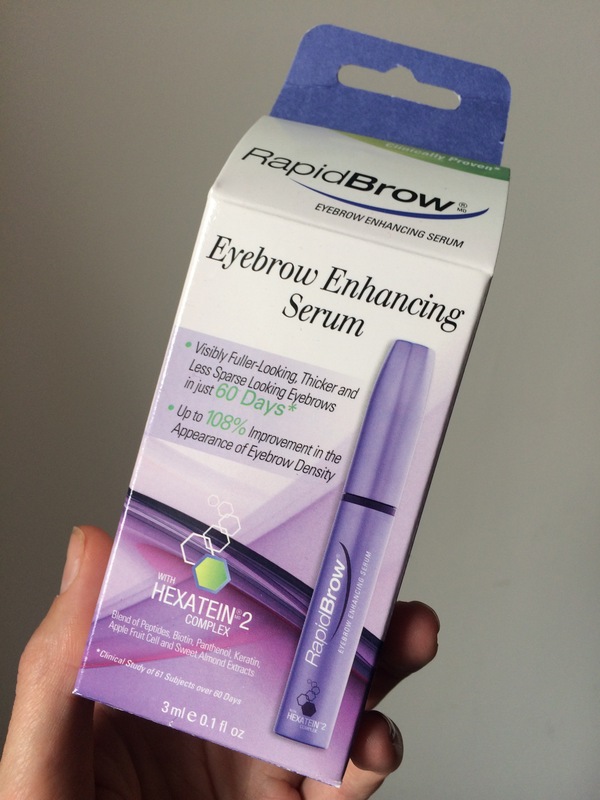 I’ve heard good things about Revitabrow (which is from the US) but I’ve been using Rapidbrow. I’ve been using Rapidbrow for about 3 months. I’m sure it’s made a difference. I’m starting to get regrowth where there were zero hairs. You just paint it onto your brows twice every day and the Hexatein 2 peptides encourage the hairs to grow. The tube has lasted 3 months and now I’m just dabbing it into the sparse areas. 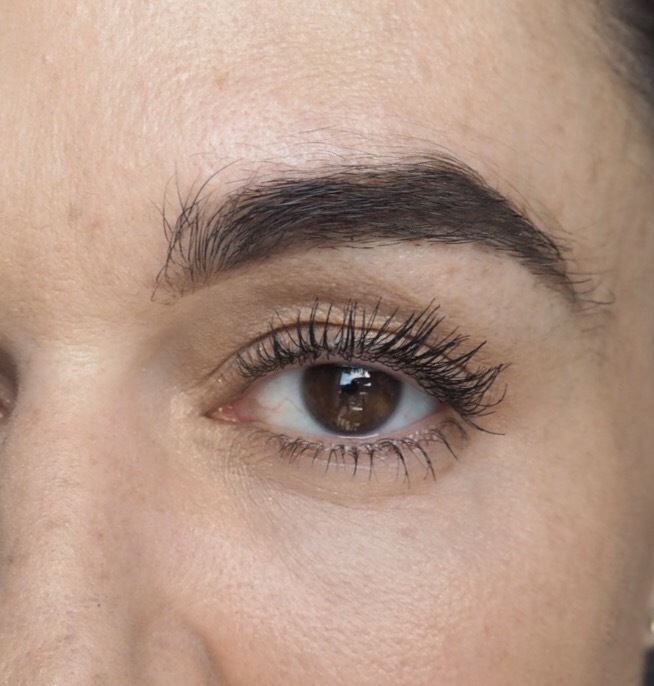 Fake it– My brows are pretty bushy now, but my left brow still isn’t playing the game. 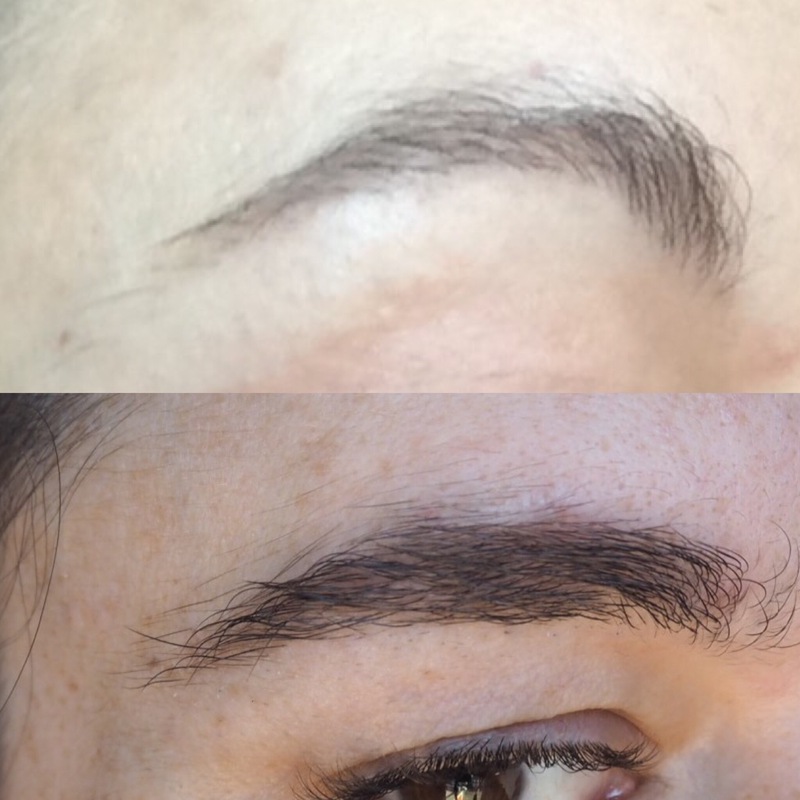 You can totally sort out dodgy brows using microblading. I’ve been stalking this lady (Ishi Brow Art check her out) on Instagram, which I think is a good way to assess a Microblader’s work. The results can be very natural. 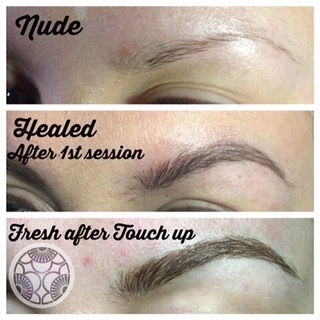 Microblading is a sort of semi-permanent tattooing. The pigment lasts about a year, so it’s not completely terrifying. Good luck ladies. You can do it! Next Post When Should You Spend Or Save On Makeup? Well done. I can’t believe you put photos on Reddit! I think my brows will never grow back in between my eyes but luckily for me the 90s eyebrow never appealed! I want to get the Revitabrow 🙂 It sounds interesting!